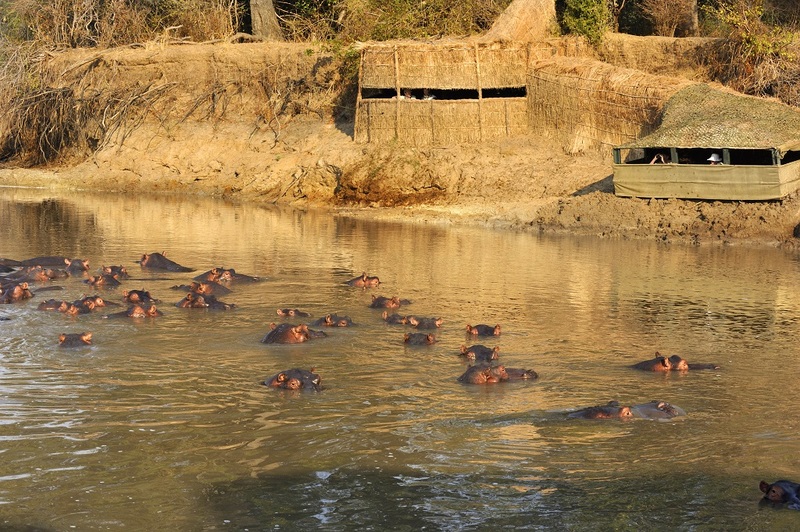 Our bush camps are special, thanks in large part to our photographic hides. These hides are regularly used by National Geographic, BBC and Discovery Channel for numerous photographic shoots and the making of wildlife documentaries. But it’s not just about for photographers and filmmakers. They’re an incredible experience for anyone who loves wildlife. 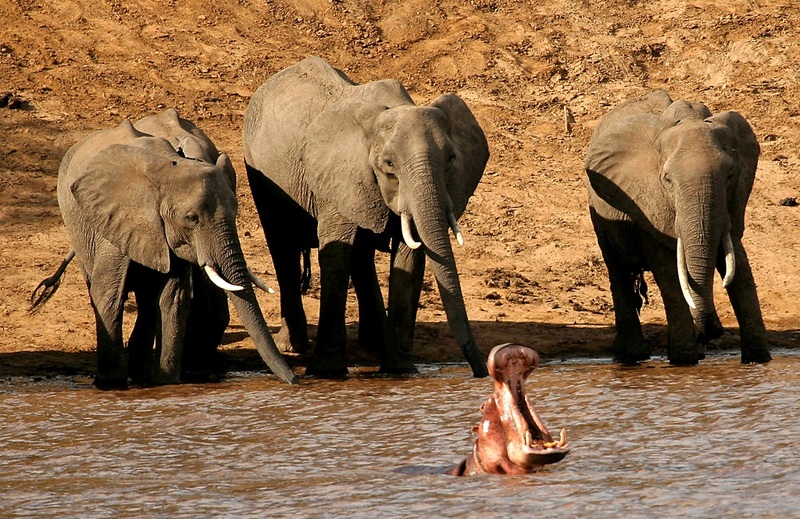 They allow our guests to get close to the animals, enabling you to watch them undisturbed in their natural environment. That said, we are well equipped to take care of our photographers – we can provide specialist bean bags, dust covers and charging facilities. 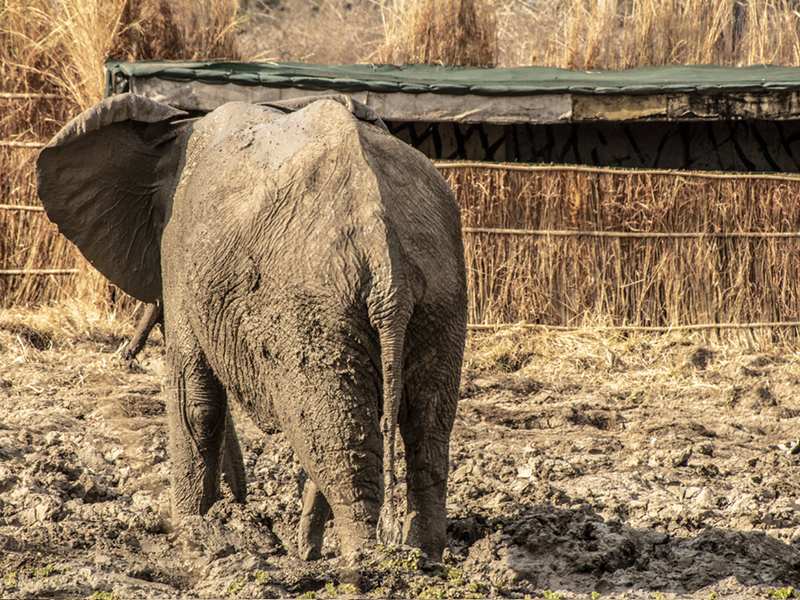 Our unique photographic hides of Derek’s design are a unique feature of Shenton Safaris. These hides are guaranteed to get you close enough to the wildlife to take a whole host of stunning photos – in complete safety. The starting point for Shenton Safaris’ networking of photographic hides, exclusive to guests at Kaingo. Accessed from both camps this seasonal hide is a must for any bird enthusiast! Exclusive to guests at Kaingo, this platform ends up being the fourth activity in the day as elephants tend to cross at brunch! 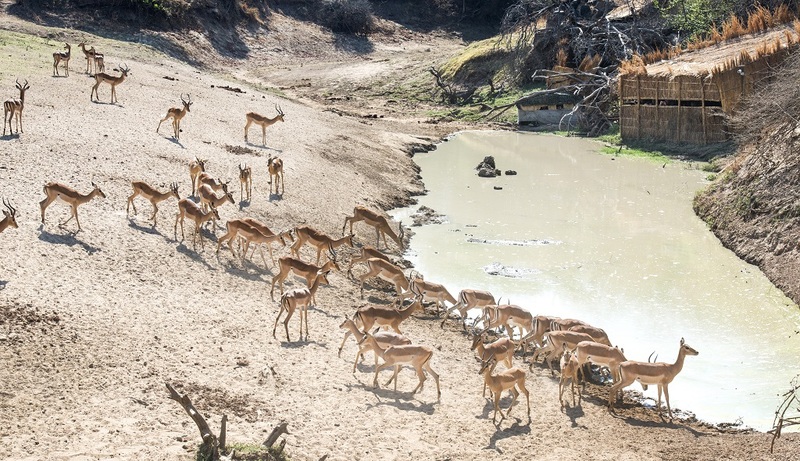 Exclusive to guests at Mwamba, this incredible hide is just a short walk from Mwamba’s thatch chalets and the ultimate safari experience in the drier months! 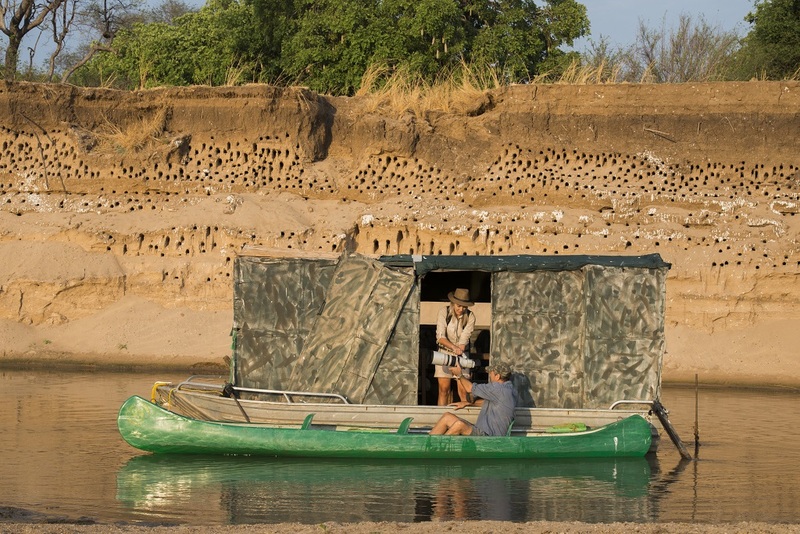 This seasonal hide is accessed from both camps, showing a wide variety of birds and animals that visit the lagoon at all times of the day.